Avebury Stonehenge Stone Circles in Wessex. 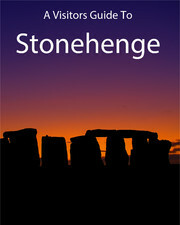 A New Interactive Stonehenge Guide for iPad users is now available from the iTunes store. Stonehenge-Avebury.net is the web site offering the most reliable and useful information on Wiltshire's Stonehenge and Avebury, the world's most famous ancient stone circles and henges. TheseWorld Heritage monuments, under the care of English Heritage and the National Trust, are over 4000 years old and the most visible surviving signs of an advanced early-British culture in Wessex in Southern England. Many of the answers are provided in these pages. 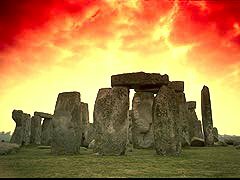 And what is known about nearby Avebury, which has the world's biggest stone circles and whose broadly-similar mysteries are being solved by multi-disciplinary scholars in archaeology, science and ancient religion? been prepared for the Society by Prof. / Dr. Terence Meaden. We assess and research sites built by the Ancient Britons. We seek to preserve megaliths that are in danger. We adore our Ancient British Heritage. By monitoring this notice-board you will learn when and where the next excursions are to take place. Want to join The Stone Circle? Click here for info. Artetech Publishing. Interactive Guide books for iPad.